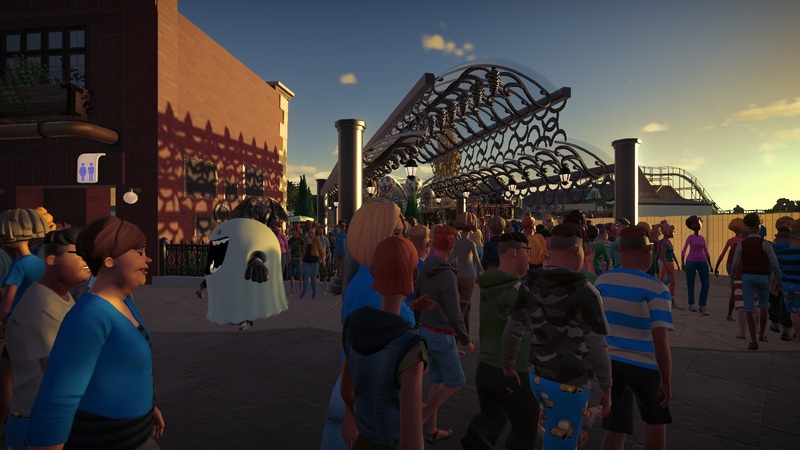 This is my favorite time of year, and the park is sporting some all new haunts and spooks in the park's first annual, Festival of Frights. 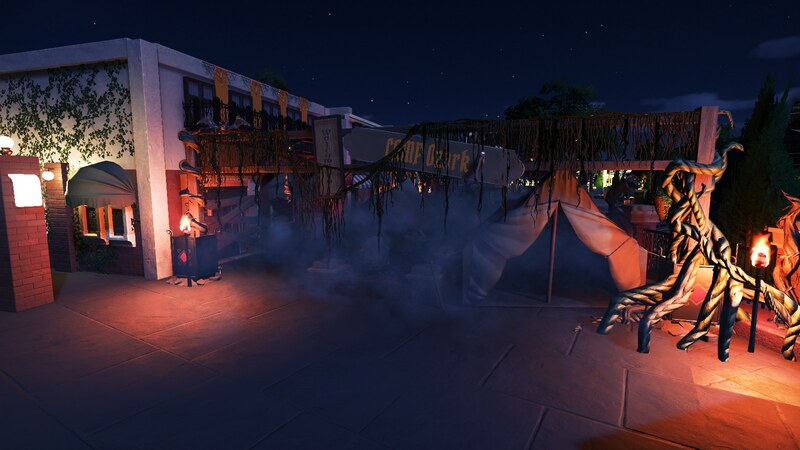 Cooper Park has gone all out with decorations, scare zones, and a terrifying haunted manor. Tonight was the last night of preparation before the park has its Fright Opening this weekend. 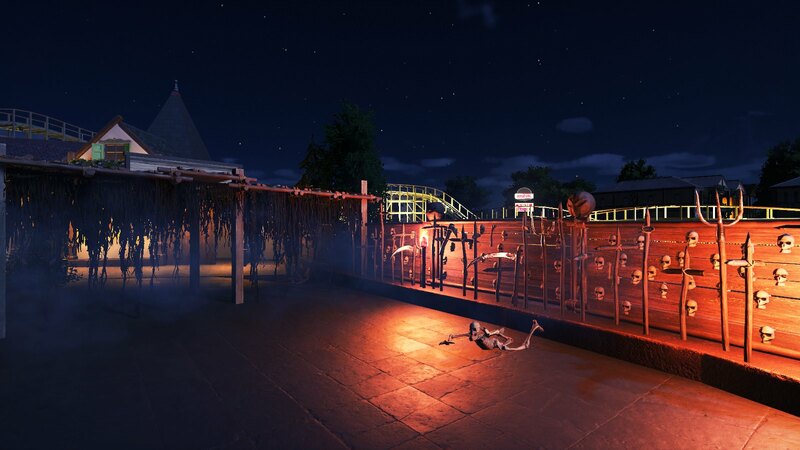 I was invited in to take some photos of the park's spooky transformation. Happy Haunting everyone! The entrance is sporting some awesome looking Jack O' Lanterns that really welcome you the season of haunts. Welcome to the first scare zone, Camp Ozark. Remember having a blast all Summer at camp? Well trust me, it's nothing like that. Heading further into the park, we head into Pumpkin Pass. Those pumpkins are flaming mad that they were cut up for fun. Now they are out for revenge. This part of the park isn't a scare zone, just some cool spoopy decorations to keep those guests freaked out......I mean happy. This final scare zone is the best, well worst....you know what I mean. 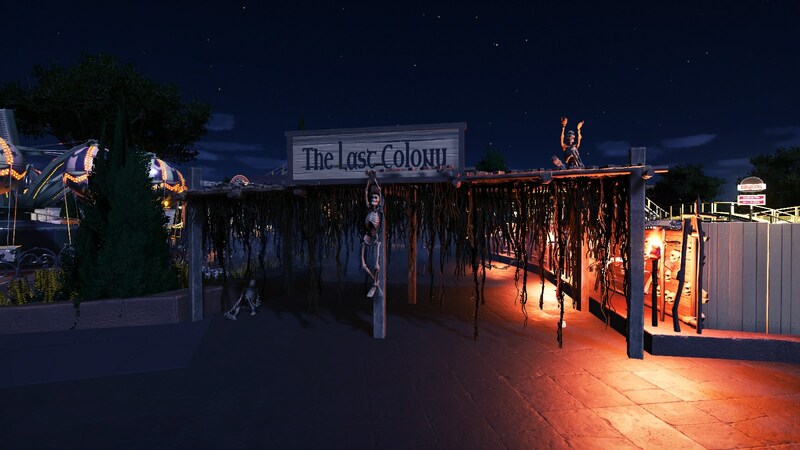 Welcome, to The Last Colony. 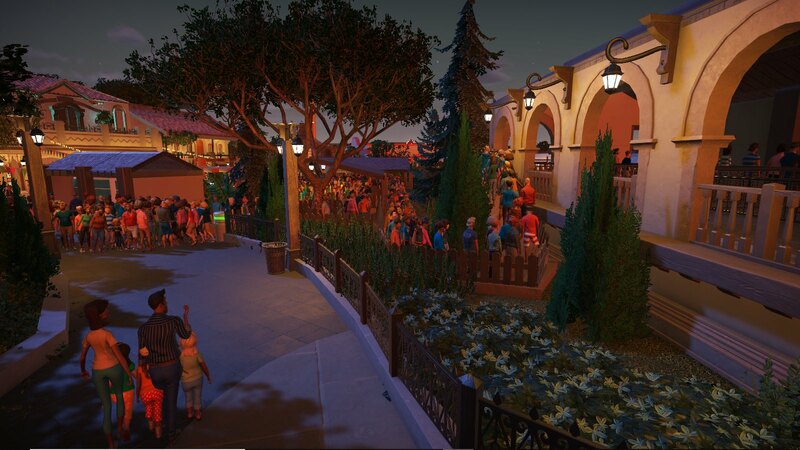 And here we are, the park's full walk through haunt, Mansion Embrujada. Which translates into Haunted Manor in spanish. 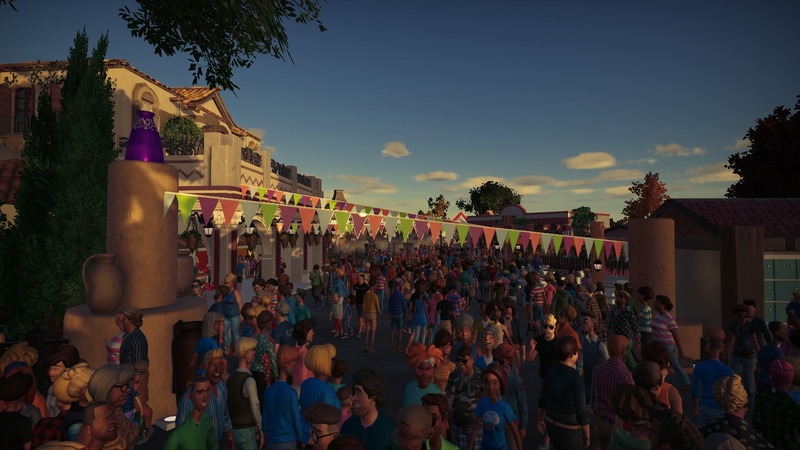 Which if you guessed it, is located in Plaza de Festivales. 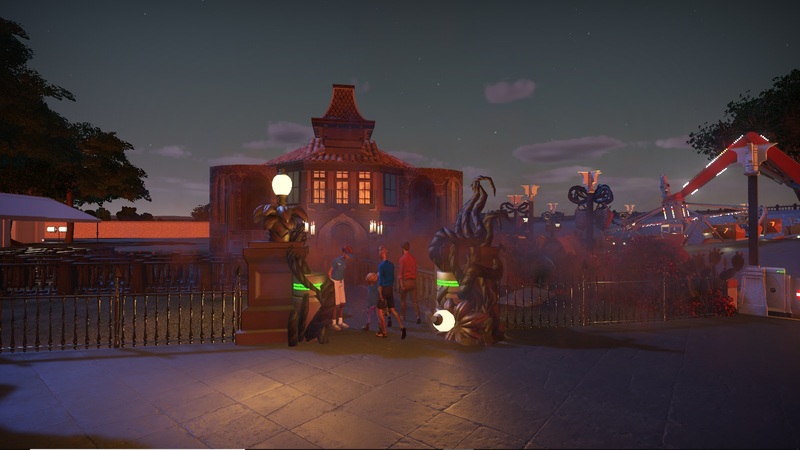 Well I hope this excites you to come to the park this Halloween season, oh wait, I almost forgot!!!!!!!!! The mini golf area has been completely removed from the park! What could this mean? Come back next time and we will hopefully find out! Also, some of the non-spooking stuff looks excellent and I'd like to see it in daylight. 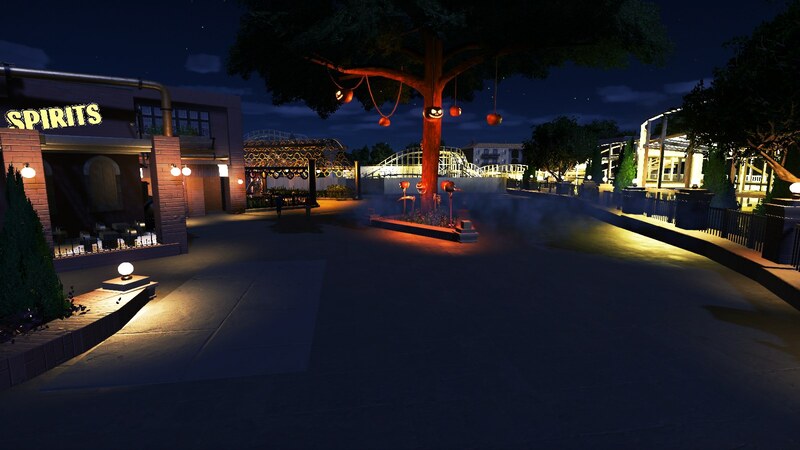 Love the concept of redecorating an existing park for the holidays, especially Halloween. Great to see your work as always Dan, and I really like the way you're keeping this park going. Thanks J! 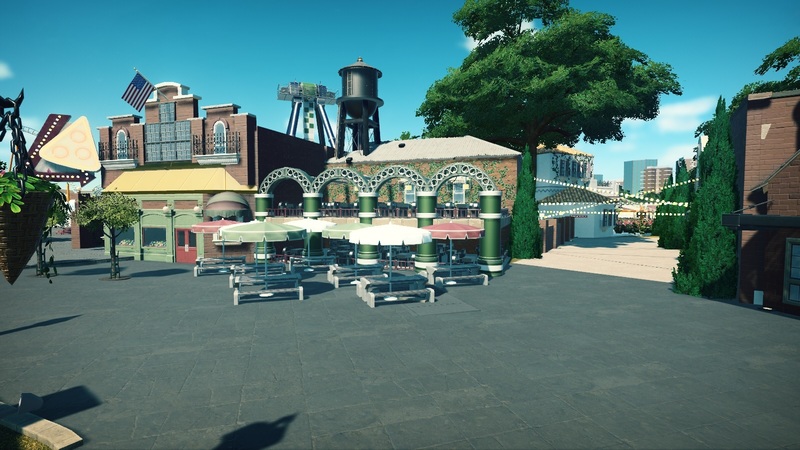 I'm really trying to spook the place up while updating existing parts of the park. Thank you so much. 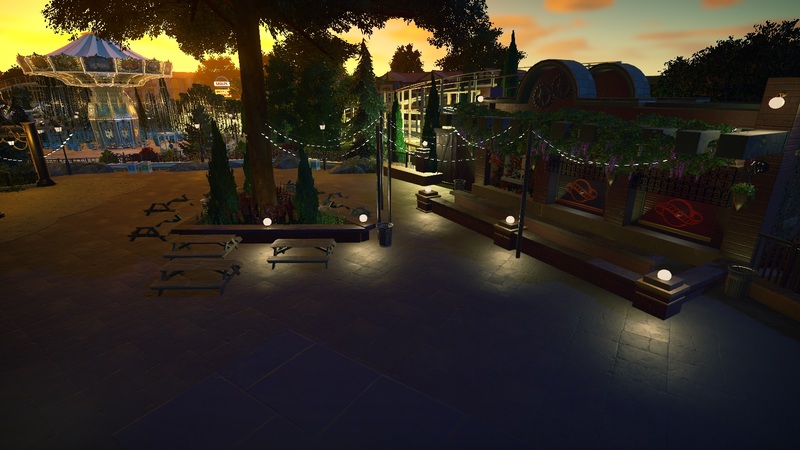 This little park has really grown on me. 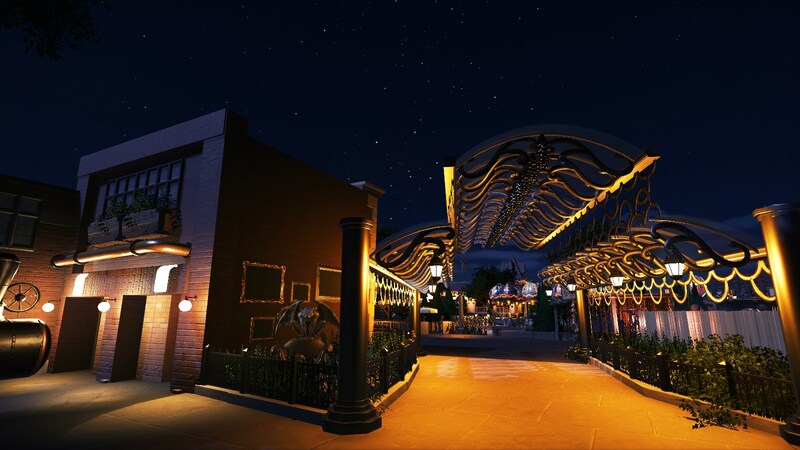 Welcome to the first night of Festival of Frights! The park is so proud of the first event and it really shows. The park has really transformed itself for Halloween time and there's some great scares around every corner. Let's go check it out. 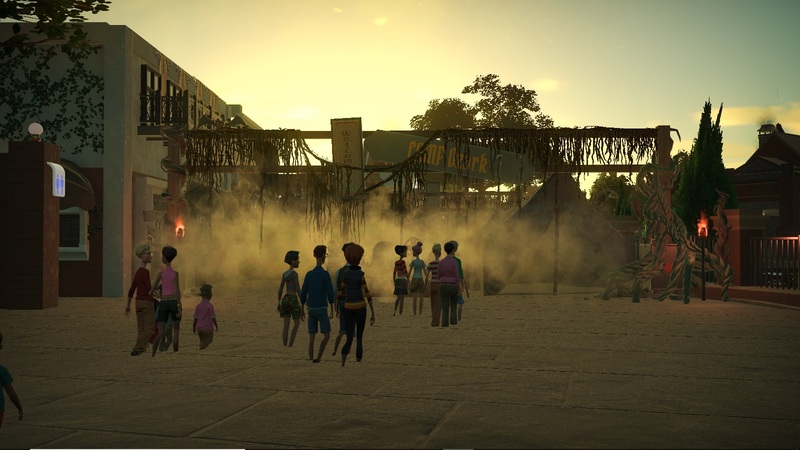 The sun is setting, and you know what that means, Festival of Frights time!!! Here goes nothing. I hope I'm ready for Camp Ozark...….. I don't think these pumpkins are very happy. Better run. I heard The Last Colony is looking for new residents. Uh oh! The park is crazy busy tonight. Bolt is a 2 hour wait, yikes! Mansion Embrujada is rumored to have some really nail biting stuff inside. Shall we check it out?!?!?! On the way out I wanted to hop on this one. 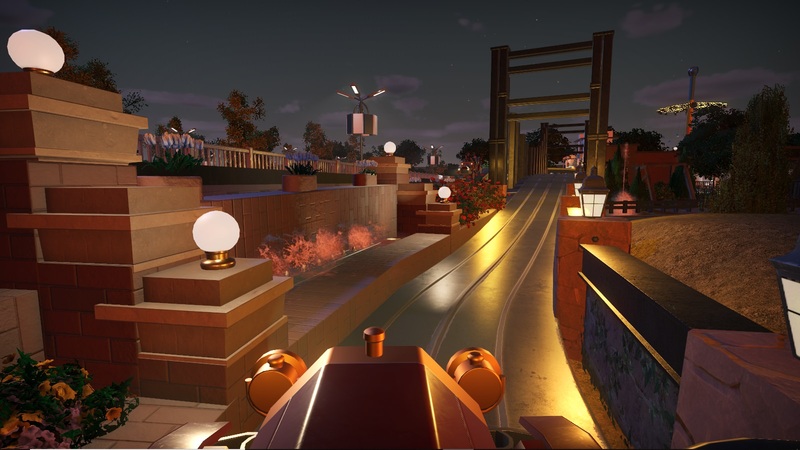 I heard there have been some enhancements to the ride, and here's some of them. Looking so awesome. See everyone soon. Happy Haunting! The Halloween make-over looks great. I enjoy seeing this park continually change over time. I love your style, it is all so clean. Like a park that just opened. Also the Halloween addings look great! Even the 'But first, coffee' pic is scary- all the peeps feet have been cut off! Now that's scary! 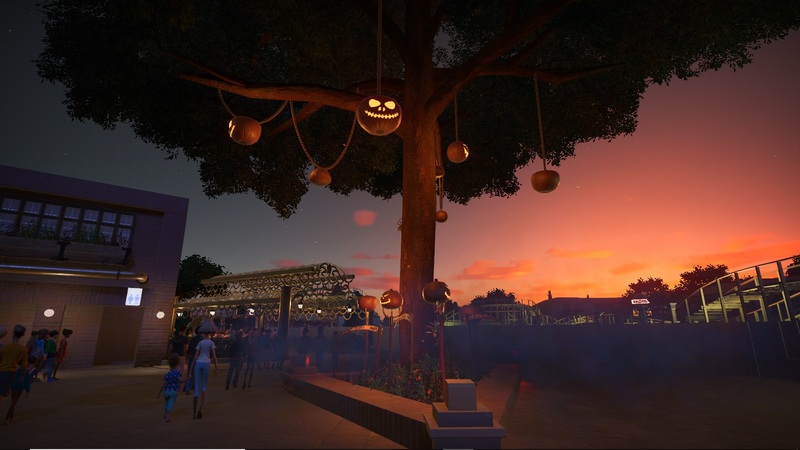 I really like the Jack-o-lantern tree. Thank you so much! I have really come to love this little gem. I love having things be clean and well taken care of. and I couldn't not do a halloween theme. The stupid elevation on that concrete has been hated since I put it in. I'll change it eventually haha. 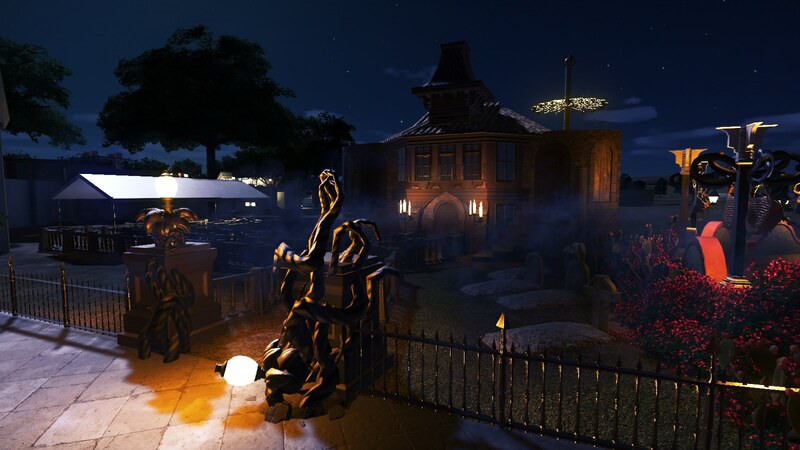 Welcome to the last night of Festival of Frights everyone! We can't thank everyone enough for a wonderful season of thrills and chills. Now lets go check out the park on this crisp fall night. May look quiet out here, but I hear the park is absolutely packed tonight. This is still one of my favorite buildings in the park. Do I dare wait an hour for this?!?!?! Mr.Boo is a wonderful walk around character. The wait for the hanuted attraction in Plaza De Festivales is 3 hours tonight. wow! 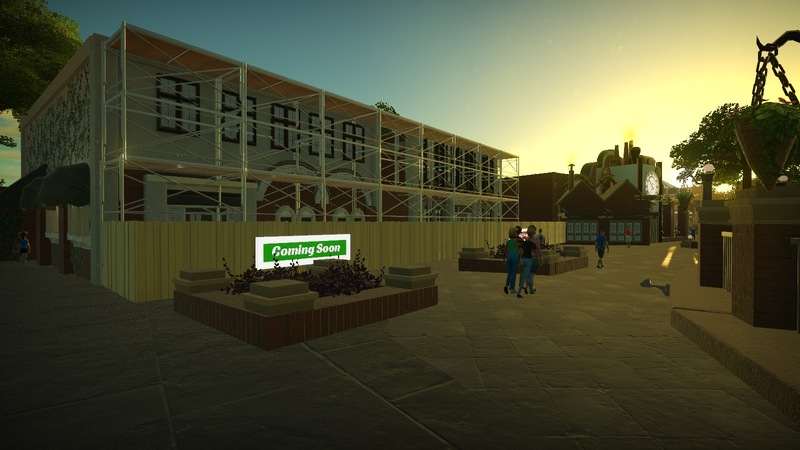 Work walls and scaffolding have been put up around the restrooms near Around the World. And with the final photo of the season, we can see foundations have been poured for something. What could it be??? Thanks for an awesome season! So long and good night! Anyway, this latest batch of pics of pics continues the excellence of this park. I again marvel at the facade of the entryway and that ironwork above Mr. Boo . I look forward to seeing what's behind the construction fencing. Wonderful stuff! 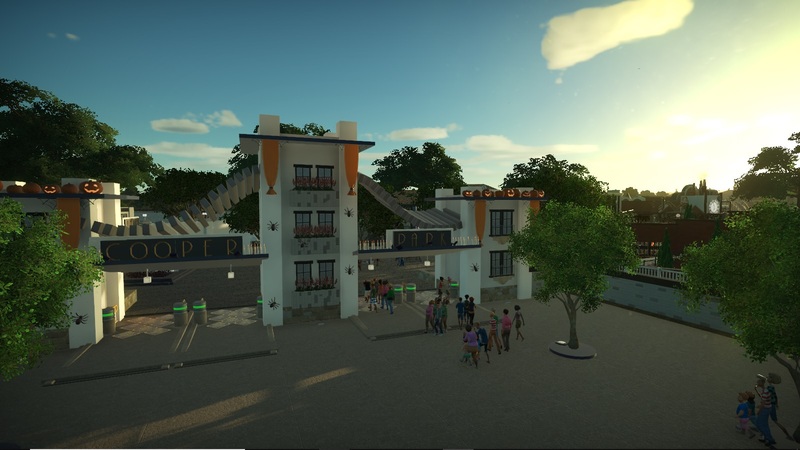 I really love the look of that entrance building. 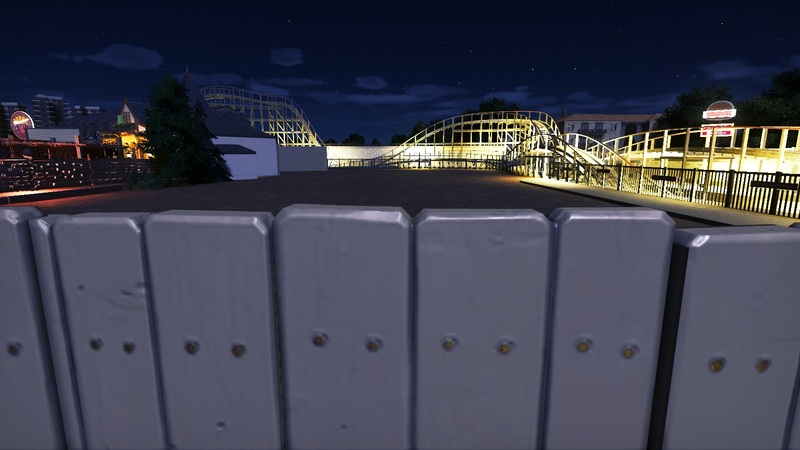 That coaster track reminds me a lot of the Newton app for No Limits. It's a great modern looking take! I love the decorations! 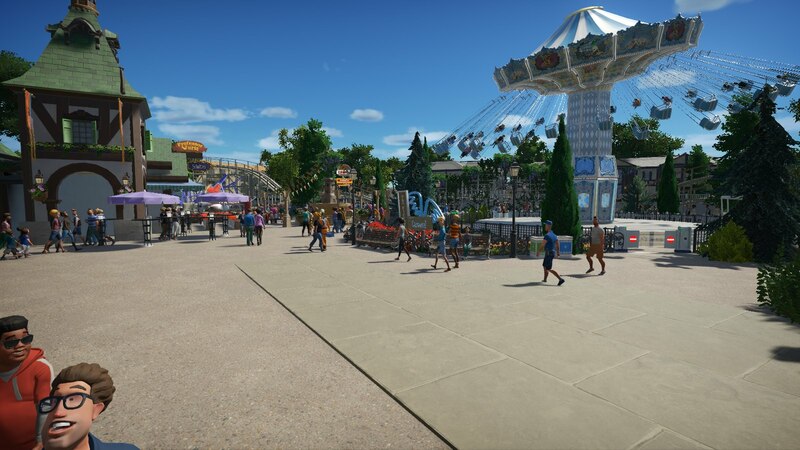 This park looks great and only makes me want to see more. 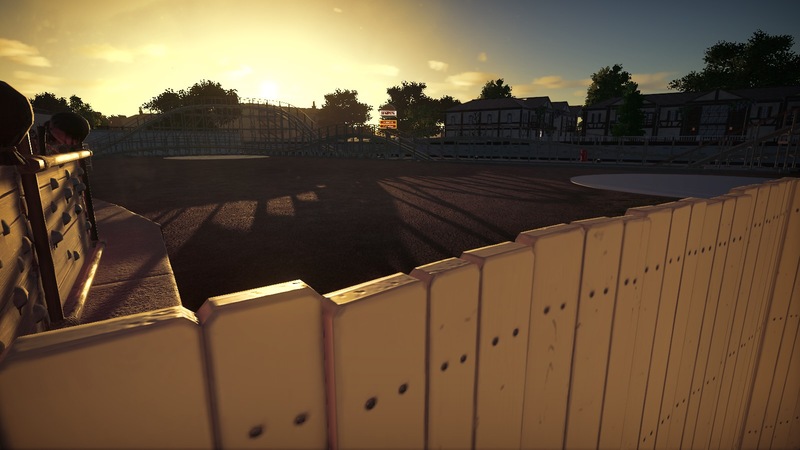 Incredible use of construction fences! Thank you very much! 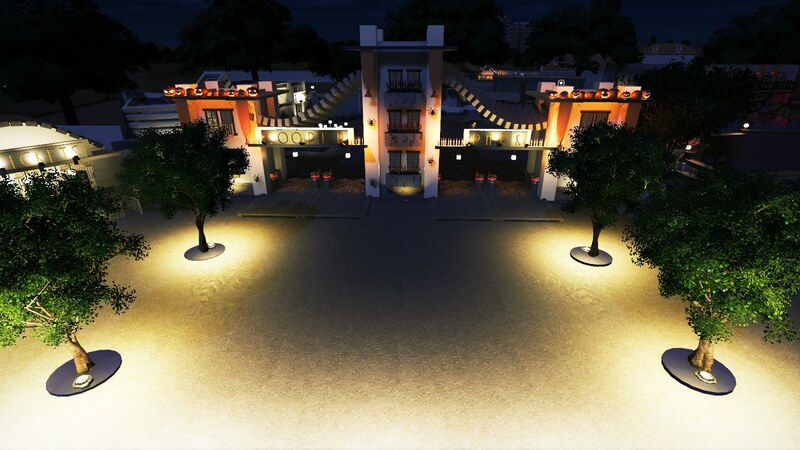 I love modern architecture and sleek design, so I really tried to make it my own. Theres more of that coming too. Welcome back to Cooper Park everyone. 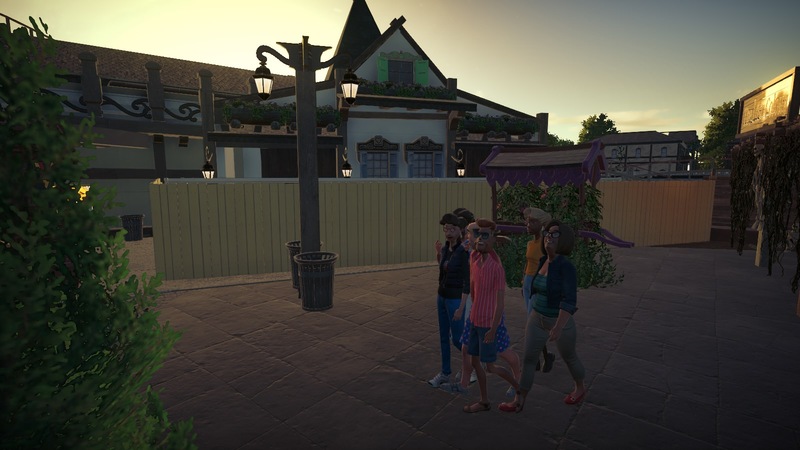 Today my fellow guests and I were invited to a passholder preview to check out the new area that was the former mini golf course. And let me tell you, this is certainly a step up. 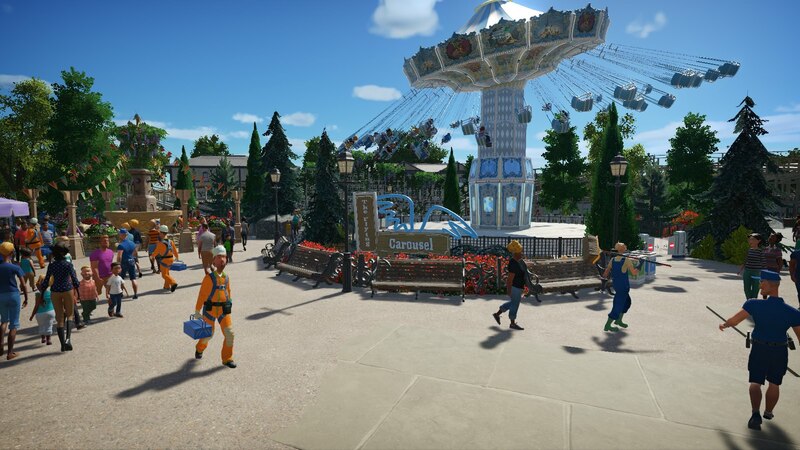 The park took this chance to expand the European area and add some awesome details to make this expansion really nice. So I hope everyone enjoys the photos I took to show off what the park has done this off season. Walking up to the former mini gold area, we can really see how much work has been done. Getting closer we can see how much bigger the area feels, now that its been opened up. 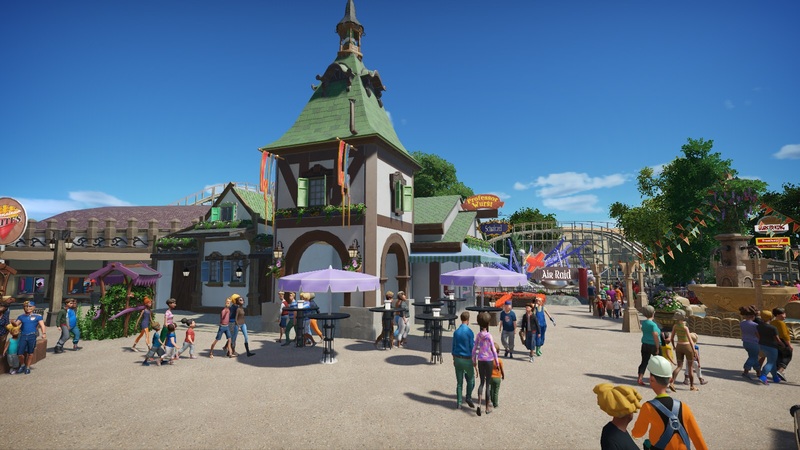 The park added a new Quik-Serv restaurant, Professor Bratwurst and Schnitzel. The first of two flats is an oldie, but goodie. The Flying Carousel. 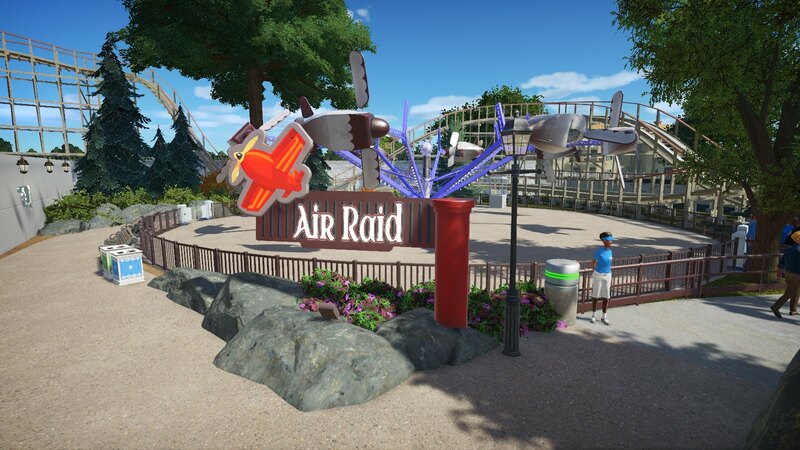 Here's the second of two new flat rides, Air Raid. It may look tame, but it's a crazy ride. 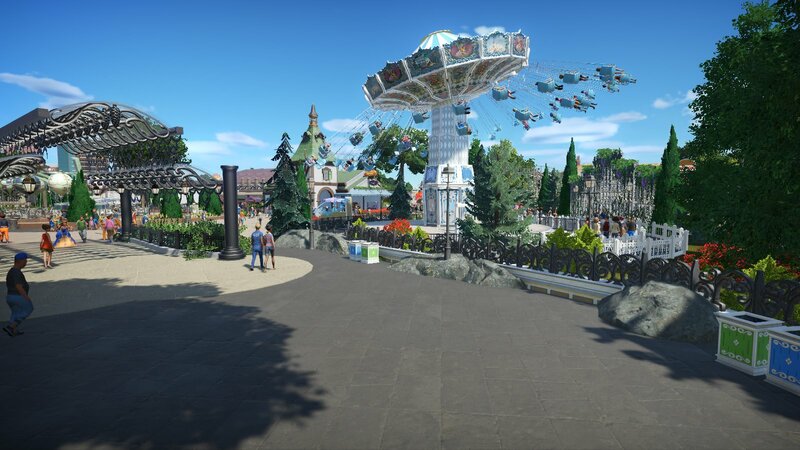 In the last couple of photos, I wanted to show off the details the park added. A beautiful fountain right in the center of the area. Very beautiful. 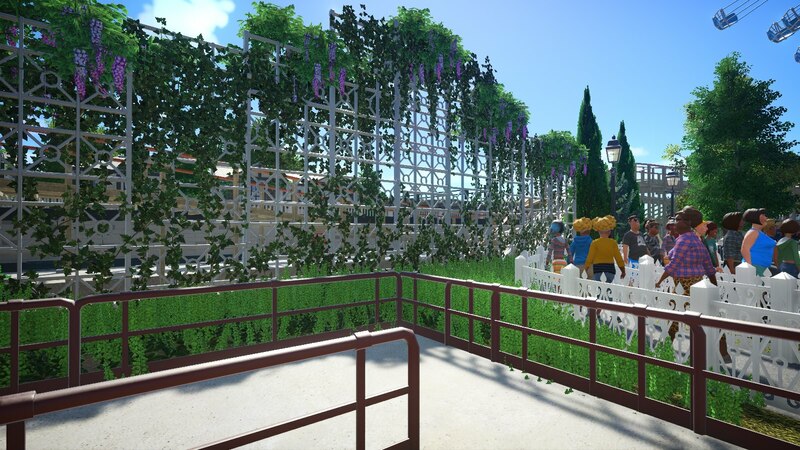 And lastly, this new living wall that seperates the coaster and the new area. Looks great if you ask me. Hope to see evryone real soon! 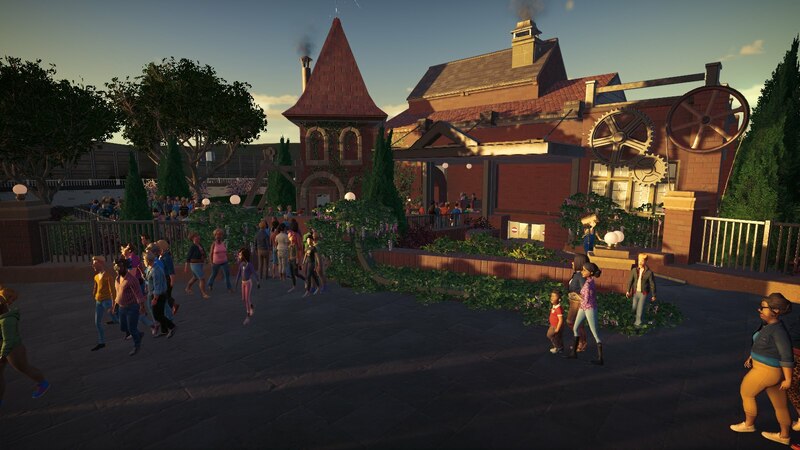 I really like the mainstreet look of the major buildings and that vine trellis is beautiful! I second what Bullethead said. That trellis wall caught my eye in the first screenshot of your post. I was fascinated by it but couldn't tell what it was from that distance. And seeing it up close, beautiful. I also like the horse-drawn cart thingy that was turned into a planter. 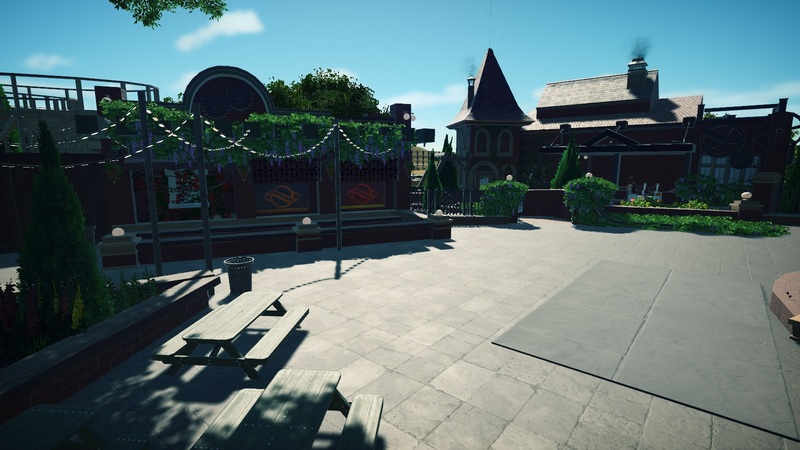 Great little area! Much better use of space than the mini golf. Well I do think so too! 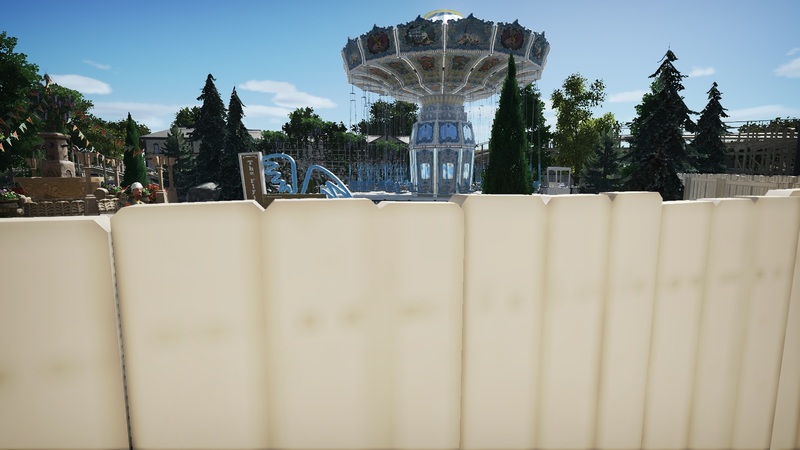 I'm really trying to beautify the park quite a bit. There's plenty more coming. And thank you! Today I just stopped by the park to ride Bolt on this beautiful evening. And while walking into the park I noticed that Main Street has some new work happening. Can anyone guess what could be going on? I loved the Halloween/fall decorations, and I am excited for your holiday decorations. As for the park itself, the crowds speak for themselves. Amazing work! Well it was something very different than was here before. But good guess. Sorry that it took so long for an update. My computer hadn't been cooperating and then I moved to another state, so I have been quite busy. But I'm glad you're enjoying the park! I know it's been awhile since we visited the park. 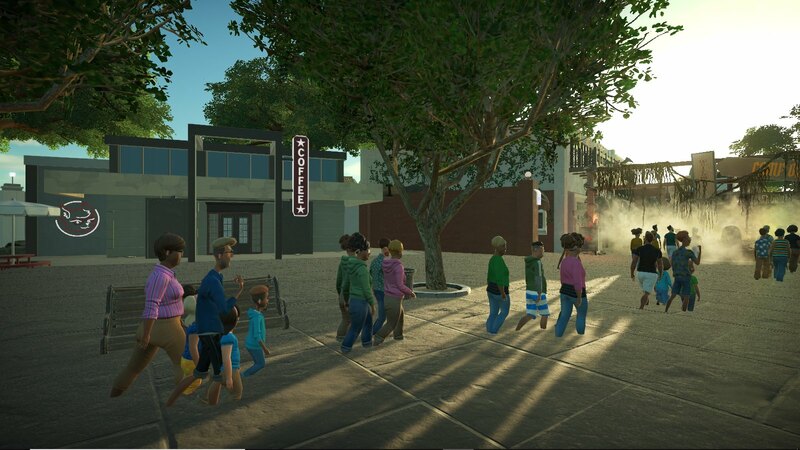 So tonight I wanted to start things off with what has changed on Main St. 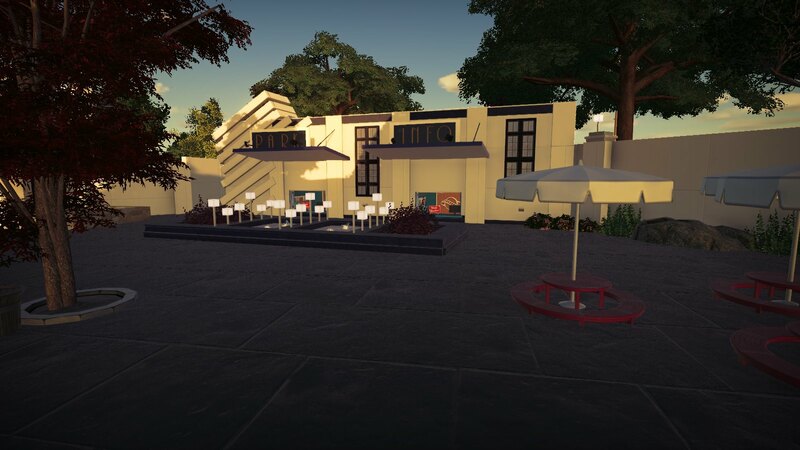 The old facades were torn down in order to make room for an all new sit down restaurant, Cooper Place Pizza Co. And let me tell you, the food here is quite good. 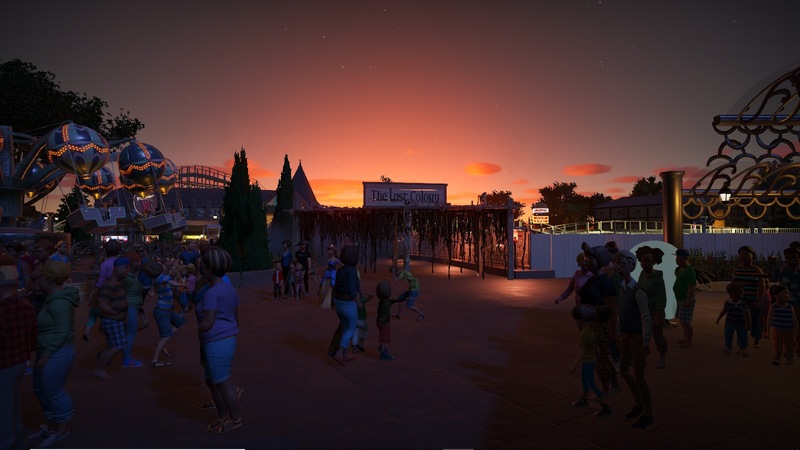 Now there are some other things going on at the park that I cannot wait to share with you, but that's for another day. So here's everyone's first look at Cooper Place Pizza Co. Enjoy! I love this park. 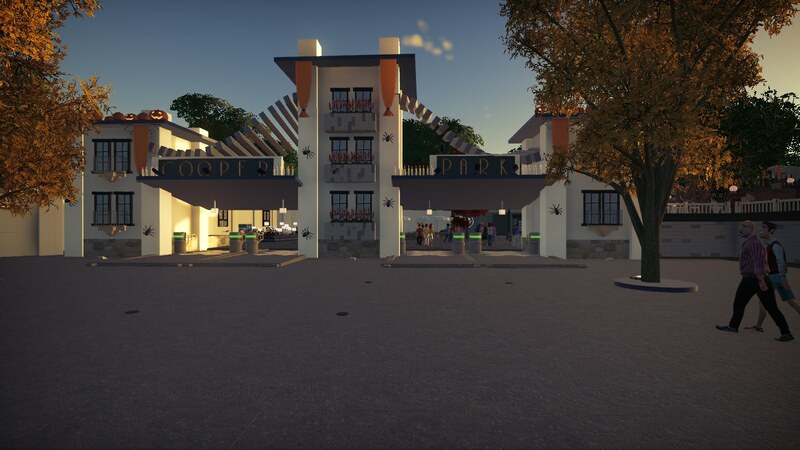 I lov ethe modern architecture of the front buildings. Nice work! Looks good as always Dan! This is fantastic, Dan! I've always enjoyed your style. Great atmosphere on that pic. I especially like that little dark water tower. Looks perfect! Thanks man! Always love your feedback. Thanks! They are some of my favorite buildings in the park. Another fast update tonight. 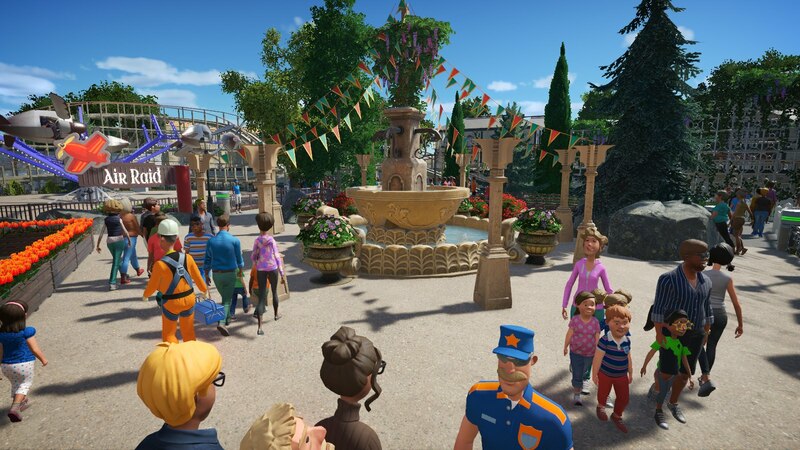 The park is focusing on the park experience as a whole instead of bits and pieces. 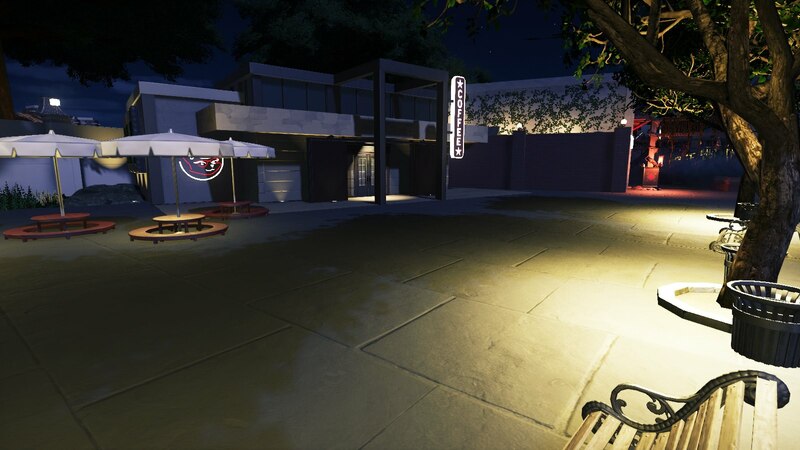 So here we have another Quik-Serv eatery and its a beautiful addition to the midway. Come on over on opening weekend and get some awesome craft brews and smoked meats at White Smoke BBQ. See everyone real soon! Stopped by the park tonight for a secret project that the park has yet to announce, and I can't wait to share those photos with everyone. But while I was here I couldn't help taking this photo of the sunset behind Flying Carousel and White Smoke BBQ. I love this place so much!!! Who can't wait for the season to start!? !